DESCRIPTION Original owner and first time on the market in the coveted low rise Princeton Grand in Eau Claire. Located park side along Bow River pathway with river views, this 3rd floor suite with two covered patios boasts more than 2,700 sq. ft. of luxurious living quarters, 3 bedrooms and gorgeous interior design. Superb floor plan for entertaining with formal living and dining rooms, 2 fireplaces, as well as open concept kitchen and great room for every day family function. For the most discerning buyer, a dedicated Concierge and private elevator access directly into your suite exudes both privacy and exclusivity. This turn key luxury suite is in show home condition. Furniture negotiable. Premium executive living in the heart of downtown Calgary. Home for sale at #308 600 Princeton WY Sw Calgary, Alberts T2P 5N4. 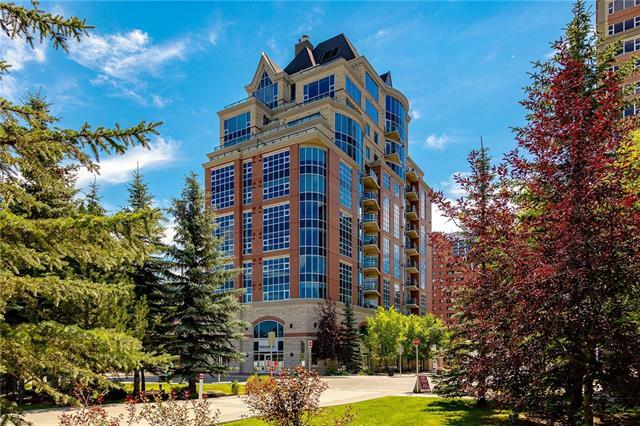 Description: The home at #308 600 Princeton WY Sw Calgary, Alberta T2P 5N4 with the MLS® Number C4224582 is currently listed at $2,850,000.